This supplement has four parts. Part 1: Setting the Stage provides a brief overview of Connecting Paradigms: A Trauma-Informed & Neurobiological Framework for Motivational Interviewing Implementation. The first chapter serves as a quick refresher of the concepts presented in Connecting Paradigms. The second chapter explains the best way to implement the material in this book. 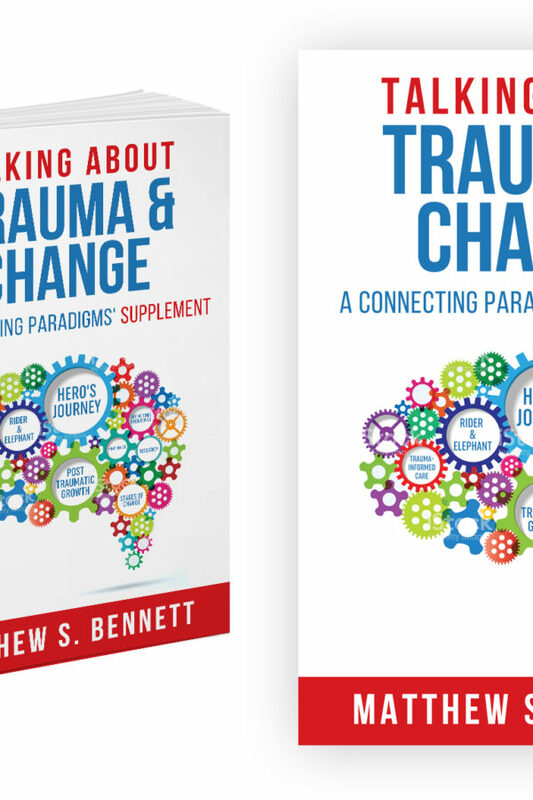 Part 2: Talking about Trauma explores different analogies and models to help clients learn and reflect on their lives and traumatic pasts. There is incredible power in helping someone understand how their traumatic past is affecting them in the present. This material is liberating in that it helps people to realize many of their struggles are due to past trauma and not something inherently wrong with them as a person. In addition, the knowledge motivates many to engage in mental-health services in order to heal from their past suffering and get their children help as well. Analogies and models are effective in teaching about trauma in a safe way that minimizes the chance of retraumatization. The third section, Part 3: Talking about Change, provides several analogies and models that complement the Motivational Interviewing (MI) approaches presented in Connecting Paradigms. The focus of Part 3 is on how to help clients understand the change process and the neurobiological adjustments needed to support behavioral change. The analogies and models are a great way to build mindsight and elicit change talk. The final section, Part 4: The Hero’s Journey, presents a model that brings together critical aspects of the healing and change process. This model helps people identify where they are in their journeys to healing and growth and what they need to focus on to successfully take their next step. The hero’s journey provides many great opportunities for us to help people gain self-understanding while eliciting change talk about living the life they desire.